A non-living component of the environment, such as soil, nutrients, light, fire, or moisture. (1) Any aspect of an organism or its parts that is of value in allowing the organism to withstand the conditions of the environment. (2) The evolutionary process by which a species’ genome and phenotypic characteristics change over time in response to changes in the environment. 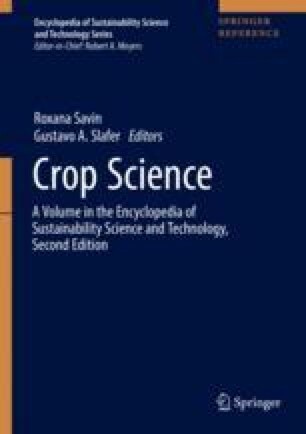 The science of applying ecological concepts and principles to the design and management of sustainable agroecosystems. An agricultural system understood as an ecosystem. The practice of including trees in crop- or animal-production agroecosystems. An interference interaction in which a plant releases into the environment a compound that inhibits or stimulates the growth or development of other plants.